Face it: staff situations are often uncomfortable, sticky situations. Do you find yourself fighting fires at the office rather than building your team? Overloaded with too much? Are you in a quandary about dealing with a lazy employee? How do you deal with one that’s dishonest? Is the staff appraisal becoming a thing to dread? Need to inject your team with a common objective and an attitude open to change? 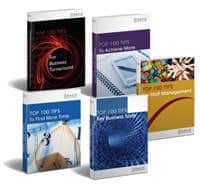 Find these solutions and more quick, easy tips in The Top 100 Tips for Staff Management eBook. 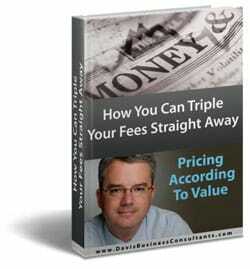 Get the how-to’s and the what-not-to’s about employee management from leading business growth specialist, Paul Davis. 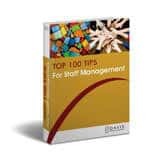 The Top 100 Tips for Staff Management eBook has easy-to-implement tips on how to manage your team effectively for peak performance. These crisp nuggets of proven wisdom will let you in on the secrets of becoming an effective team leader and team member. Learn how to delegate successfully. Find out what makes effective teams tick. Prepare to conduct an effective staff appraisal. Got a problem employee on your hands? Put your finger on the cause and find out how to deal with various challenging situations. Jumpstart life by bringing about change for yourself and your business. And learn how to put a pause on stress, by saying hello to a more positive outlook to life. Among its 23 pages, you will also find a sprinkling of inspiring, insightful sayings from revered leading personalities from different walks of life on team performance and managing change.